Tuvia Livneh, former head of security at El Al, discussed the mystery of the disappeared Malaysia Airlines Flight 370. 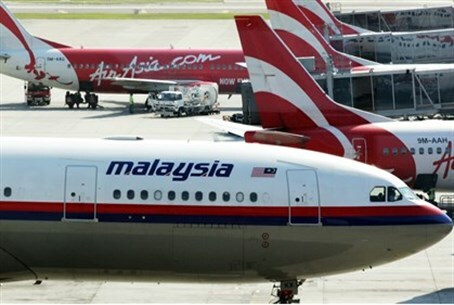 In an interview with Arutz Sheva, Tuvia Livneh, former head of security at El Al, discussed the mystery of the disappeared Malaysian airliner. While anything is possible, he said, the likelihood that the plane was being held and prepared for use as a “terror weapon,” as rumors that have been running rampant over the past several days state, is very unlikely. Much more likely, he said, was a plane crash or explosion that occurred after a hijacking attempt. “All it would take is a few seconds for terrorists to invade the cockpit, and for a mishap to occur and for the pilot to lose control under the pressure of the moment. Over a week after air traffic controllers lost track of it, there is still no indication of the fate Malaysia Airlines Flight 370, which disappeared with 239 people aboard. “The plane's disappearance is a unique situation that, naturally, has hatched many conspiracy theories,” said Livneh. “But looking at the facts, the conclusion I come to is that there was a hijack attempt, which preceded a breakup of the plane.” This, he said, was based on considered study of the news reports that have appeared on the incident. Until evidence is found of the plane's fate, said Livneh, it's likely that more and more elaborate conspiracy theories will continue to evolve. “I saw a perfectly serious exchange in one major newspaper discussing the possibility that the plane was 'taken' by aliens,” he said.